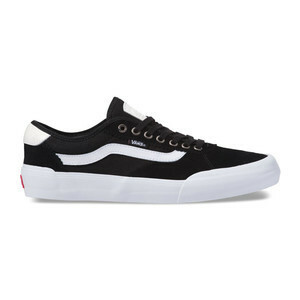 The new Crockett Pro 2 model introduces a new outsole that utilizes the performance advancements of Vans Wafflecup technology, providing the premium support and unrivalled grip demanded by skateboarders everywhere. Gilbert’s second edition highlights new blind-seam suede overlays on the toe cap, maximizing Vans’ Duracap reinforcement capabilities while employing Vans’ proven Ultracush HD drop-in sockliners for the highest level of impact cushioning. DURABILITY: Fully-fused DURACAP rubber reinforced toe vamp underlays for unsurpassed durability. 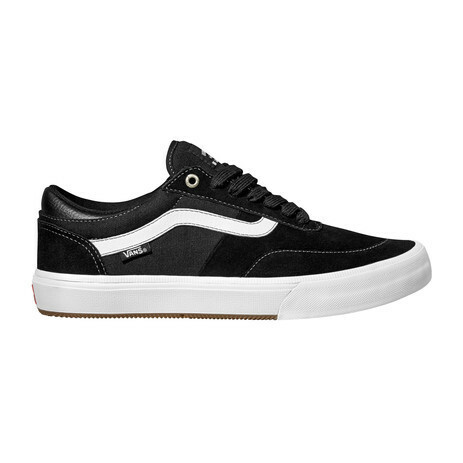 SUPPORT + BOARDFEEL: Vans WAFFLECUP outsole construction offers the best of both worlds! The world’s first-ever vulcanized cupsole. IMPACT CUSHIONING: ULTRACUSH HD Polyurethane-based drop-in sockliners provide Vans’ highest level of impact cushioning.